Sit and Go to the WSOP with Virgin Poker! With the gigantic World Series of Poker in Las Vegas fast rushing upon us all, time will soon be short for qualifying to play in one of its 45 tournaments. Yes, that is right, forty-five! So much emphasis is placed on winning a seat at the Main Event, where the numbers are so large it is akin to a lottery, that it is easy to forget that extremely handsome sums can be won at the many other tournaments that precede it beginning on 25th June. Furthermore, many online players are not sufficiently confident to spend many hours playing in one long marathon of a multi-table tournament which is often the pre-requisite for gaining a coveted seat. Indeed, many players go online to play exclusively at Single Table Tournaments, or STT’s as they are fondly known by their devotees. Virgin Poker, in keeping with the traditions of its world-famous brand name, has realised this and spotted a great way to keep its STT enthusiasts delighted and at the same time making sure they are not left out of the WSOP bonanza. It has introduced a novel and exclusive league table for STT players! Win a heads-up STT and you gain 1 point. The main provisos are that the STT entry fee is set at a minimum of $10 (plus the standard STT registration fee for the level you choose) and that you are 21 years of age. The top two players that have the most points at the end of the qualifying period on 9th June will each receive an all-inclusive travel, accommodation and tournament package worth $3,000 to play at event number 37 at the WSOP in Las Vegas. That is the three-day $1,500 No Limit Hold’em tournament starting on 25th July. In the equivalent event last year, the winner walked away with over $600,000! So, no slacking! The STT league table has only just begun. You have all the way until 9th June in which to fine tune those STT skills and reel off the wins, for as low as $10 a pop (and a win at that level is worth $50 to you). Now, move forward in your mind to the Summer. Having won your WSOP ticket, you are relaxing in your Virgin Atlantic seat high above the ocean. With Virgin Poker, it is possible you could also find yourself thinking of all the other trips you could make using the huge number of Virgin Atlantic Flying Club Miles you possess. How do you get those? It’s simple. You enter Virgin Poker’s staggering Million Miles Freeroll on 24th May, next Wednesday. That’s right, absolutely no charge – just turn up and enter! The winner receives 250,000 Virgin Atlantic Flying Club Miles, second gets 120,000, third 90,000, down to a lowly 30th place who still receives 10,000 Miles! The world is at your feet, or perhaps that should be your computer! Ed note: Don’t hesitate, just hit those STT’s. 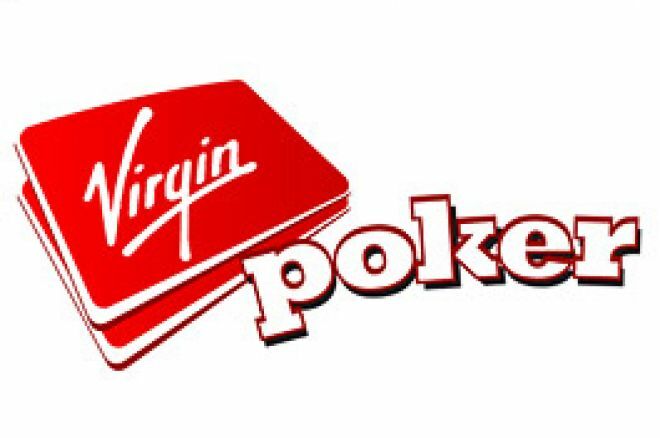 Download Virgin Poker today.